Foreclosed Modular Homes | Find Cheap Modular Homes NOW! What are Foreclosed Modular Homes? What is a modular home? Foreclosed modular homes are simply prefabricated factory-built homes. Prefab modular homes are made up of various sections that are transported separately and then assembled on site. Home buyers like the lower price and faster construction that modern modular homes provide. A foreclosed modular home has been repossessed by the bank due to the owner defaulting on their mortgage. Are Modular Homes and Mobile Homes the Same? Modular homes and mobile homes are not the same. They do have some similarities in that both are prefabricated homes, built away from the home site. A mobile or manufactured home is built in a factory and on a steel frame and then transported to the home site. The home remains on the steel frame and is secured to the ground. Foreclosed modular homes have much better resale value than foreclosed mobile homes. Can Foreclosed Modular Homes be Moved? Once a modular home is placed on the foundation, it is typically considered a permanent structure. However, transportable homes do exist. Mobile homes and some modular homes may be moved by movers specializing in modular building transportation. Are inexpensive - compared to a traditional home, a modular home is fairly cheap. A great way to create rental revenue. Often come with a warranty. Are greener than traditional buildings. Modular homes prices are very reasonable and that is a main advantage over other investments. How much do modular homes cost? The cost of a modular home varies based on the size and finishes. A new modular home retailer can provide you with a modular home price list. Typically, an affordable modular home, even when brand new, is around $60 a square foot, but foreclosure properties are even more affordable. Purchasing foreclosed modular homes can save 30 to 60 percent off the original price. Wondering how to purchase your home? Modular home sales and their financing is the same as purchasing any other home. 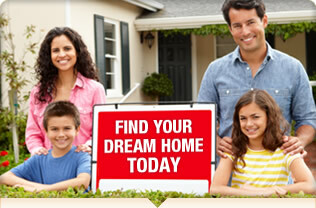 Modular home loans are available to those hoping to buy a foreclosed home. There are foreclosed modular homes for sale in a variety of communities. These factory-built homes come at a great discount and offer all of the benefits of new, affordable modular homes. Modular home financing is available for those who qualify. Cheap modular homes are a great option for establishing a home, creating rental revenue or as a second home. No matter why you are interested in a modular home, there are many options available to purchase your new property affordably and easily.